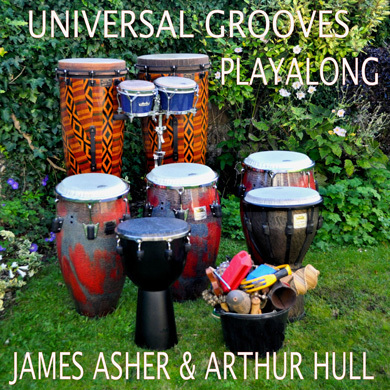 Universal Grooves Playalong is an audio product specifically designed for participants in drumcircles and drummers of all skill levels. Arthur Hull has written three books on drumcircle facilitation, and has been teaching this worldwide for many years. Using this experience he has designed these recordings to provide a basic platform, along with which drummers may listen and enjoy exploring and and developing their playing. Credits : Recorded at Starfield Studios, Eastbourne, Sussex – 2014. Written and performed by James Asher and Arthur Hull.